Weekend Writing Warriors, #SnippetSunday, Were the Illuminati Real? Welcome to Weekend Writing Warriors, the weekly hop for everyone who loves to write! Sign up below with your name, blog and email and share an 8 to 10 sentence snippet of your writing on Sunday. Your post needs to be live between 12:00 noon on Saturday 02/18/17 and 09:00 AM on Sunday 02/19/17. Visit the other participants on the list and read, critique and comment on their 8sunday posts. Again I am sharing from my new release, Stolen Secrets. Last week it was a steamy scene, so this week, I chose something a little different. “So they literally believed Isis was with them, a goddess who could walk among them and interact with them,” Elsa said. “Of course,” David and Muhktar said together, then looked at each other and chuckled. Isabella glanced between them. Their tone had been more than affirmative. It sounded as though they too believed Isis was a very real, literal entity and were surprised at Elsa’s questioning of that fact. Rumors sometimes tied Prince Muhktar to the Illuminati, a secret cult known to exist since at least the time of the Pharaohs who built the pyramids. Until this moment, she had always dismissed those rumors as passed along by those wishing to cast even more mystique on the infamous persona of one of the country’s wealthiest and certainly most eligible bachelors. The Illuminati itself was an organization which, though it had certainly existed since she herself had seen ancient artifacts whose writings and symbolisms supported its existence in Egypt, was unable to be tied to any one deity, purpose or era. Illuminati was a word most often whispered with respect, almost reverence, among the superstitious Egyptians, as though it still existed and was to be feared. Could those rumors be true? What might it have to do with this artifact they sought? I hope you like the snippet I shared for Elizabeth this week. She has been sick with food poisoning this week so did very little for three days and never even got out of bed for two of them. Personally I'm not a fan of seafood, so she should just stick to my food from now on. Be sure to visit the other Weekend Writing Warriors and Snippet Sunday authors for more great reads. Welcome to Weekend Writing Warriors, the weekly hop for everyone who loves to write! Sign up below with your name, blog and email and share an 8 to 10 sentence snippet of your writing on Sunday. Your post needs to be live between 12:00 noon on Saturday 02/04/17 and 09:00 AM on Sunday 02/05/17. Visit the other participants on the list and read, critique and comment on their 8sunday posts. This week I am going to share a snippet from Stolen Secrets since it's now on preorder. 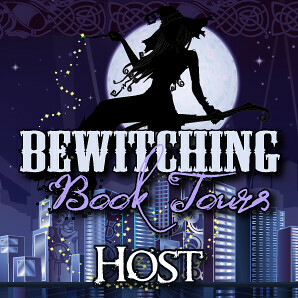 The trailer is up above and links are at the end, including a rafflecopter filled with goodies. Pulling the collar of his robe up, he saw Isabella tug the edges of her own robe closer, and then she tightened the belt. Had the temperature dropped? No, not possible at this depth. Despite the added lights, the room seemed darker. The shadows cast by the assortment of statues fought against the light’s intrusion until the bulbs flickered and dimmed, and once more they began to dominate the chamber. Popping sounds were followed by the distinct crackle of shattered glass as an unseen hand snuffed out what remained of the artificial illumination. The sepulcher was filled with subtle movement as though the darkness had been awakened to their presence and resented it. He caught movement out of the corner of his eye, but when he spun to confront the attacker—and he now felt besieged by threat—no one and nothing was there. He sensed movement overhead, and looked up. Seeing nothing again, he fished his lantern from his belt and his gun from a cargo pocket on the side of his pant leg. I hope you enjoyed the snippet I posted for Elizabeth today. It's such a relief to be out of the spotlight, like I was in her last post. Don't forget to sign up for all the goodies in her rafflecopter below and snap up a copy of Stolen Secrets! Visit the other Weekend Writing Warriors and Snippet Sunday Authors for more great reads!